It is a dark time for England. Four generations after the Norman conquest of the island, the tensions between Saxons and Normans are at a peak; the two peoples even refuse to speak one another's languages. King Richard is in an Austrian prison after having been captured on his way home from the Crusades; his avaricious brother, Prince John, sits on the throne, and under his reign the Norman nobles have begun routinely abusing their power. 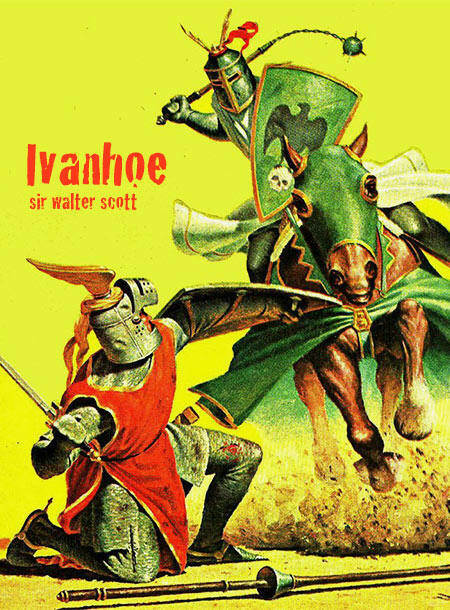 Unbeknownst to his father, Ivanhoe has recently returned to England disguised as a religious pilgrim. Here, with the help of a mysterious Black Knight, he vanquishes his great enemy, the Templar Brian de Bois-Guilbert, and wins the tournament at Ashby-de-la-Zouche.